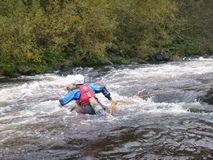 The British Canoeing White Water Safety and Rescue Training (WWSRT) is a 2- day training course. This course is designed for all white-water paddlers, canoe and kayak. The objective is to teach simple and safe skills that can be applied appropriately.